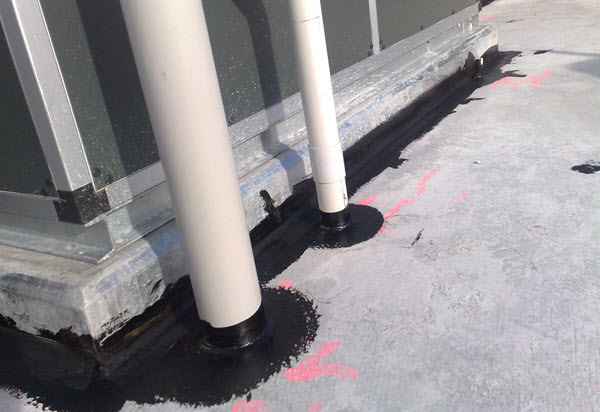 The consequences of a leaking roof are often extremely costly -and may involve extensive water damage to infrastructure below and sometimes to adjacent properties. 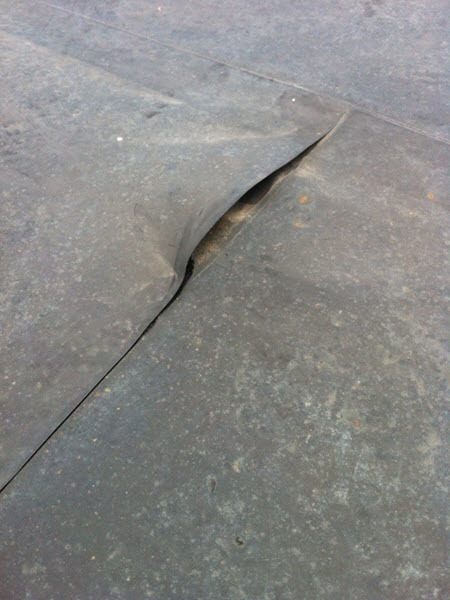 Cracks may develop due to an inflexible membrane that cannot cope with the normal thermal movement of a roof surface. 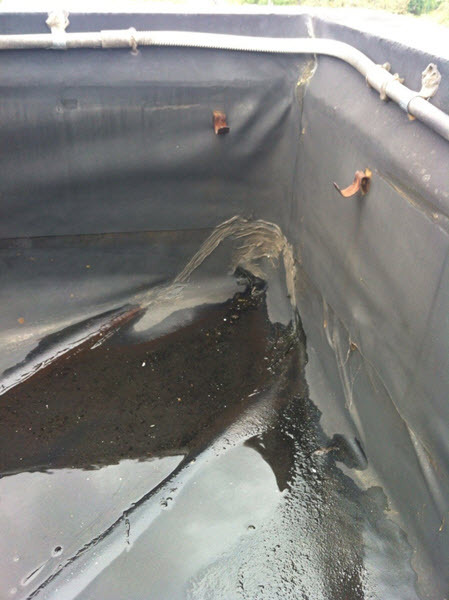 Waterproof membrane is not UV Stable and deteriorates with age. Roof membrane uses joins, seams or overlaps that de-laminate and allow water to migrate under the membrane and track along the roof surface. 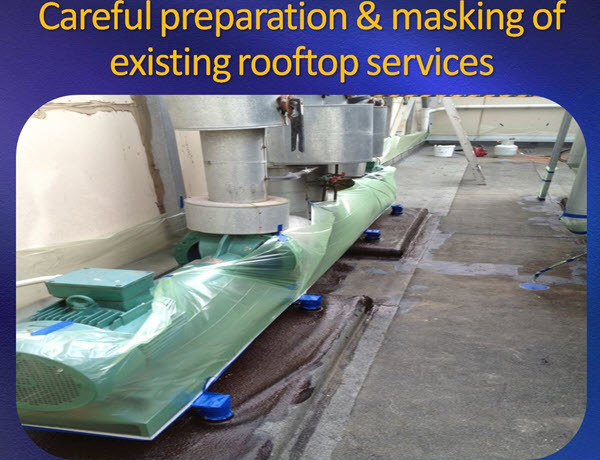 Conform to Roof Shape - ability to seal & waterproof around roof services & fixtures. Critical for Roof Coatings - commercial & industrial roofs often have complex shapes & contours that require liquid coatings that can seal vertically and horizontally. Membranes with seams and/or joins often become areas of weakness for future water leaks. 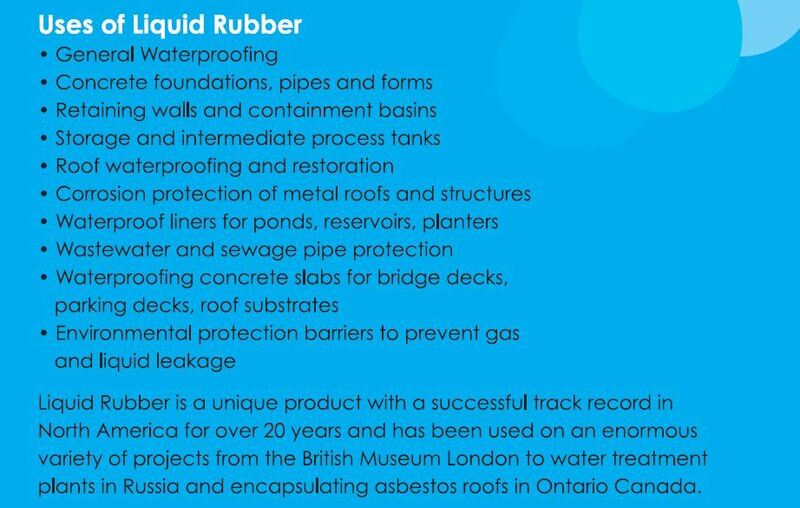 Waterproofing installation using heat and/ or fumes have the potential to damage infrastructure, wiring and creates OH&S issues. Equipment & methods need to be suitable for confined spaces, elevated surfaces and portable for roof repairs. Roof repair may require structural knowledge & construction experience. 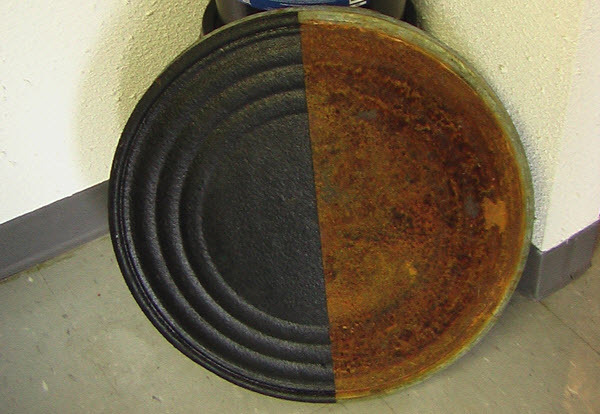 Repairs methods, waterproof products used need to be appropriate for each project. 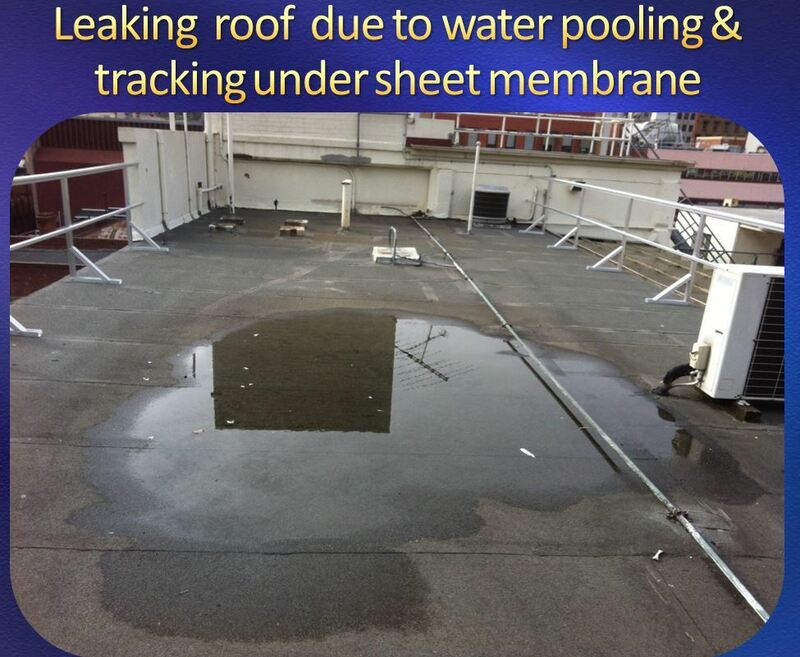 Experienced waterproofing specialists providing full service of membrane installation and application for commercial roof type & condition. 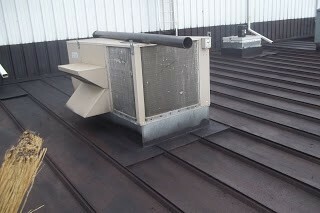 Heat/Flames can damage roof wiring, services. 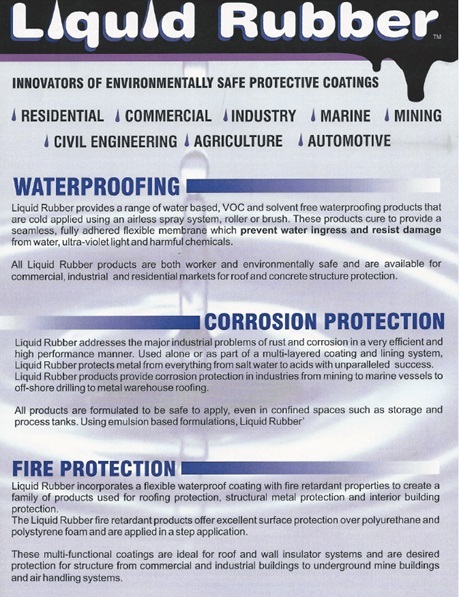 F.E.W WATERPROOFING provide the construction industry with specialist waterproofing applications for the commercial & industrial sectors. 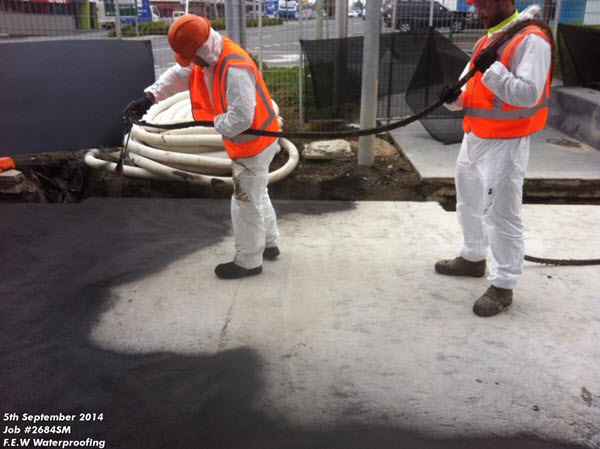 We have over 30 years construction experience, are Registered Builders and experts applicators for cold spray-applied Liquid Waterproofing Membranes. 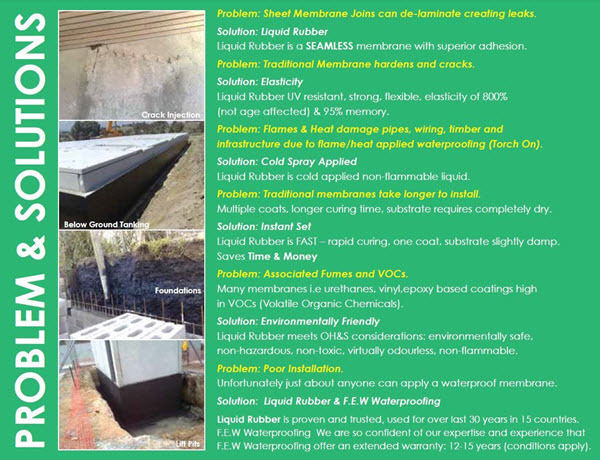 Waterproofing membranes for rooftops require unique capabilities. 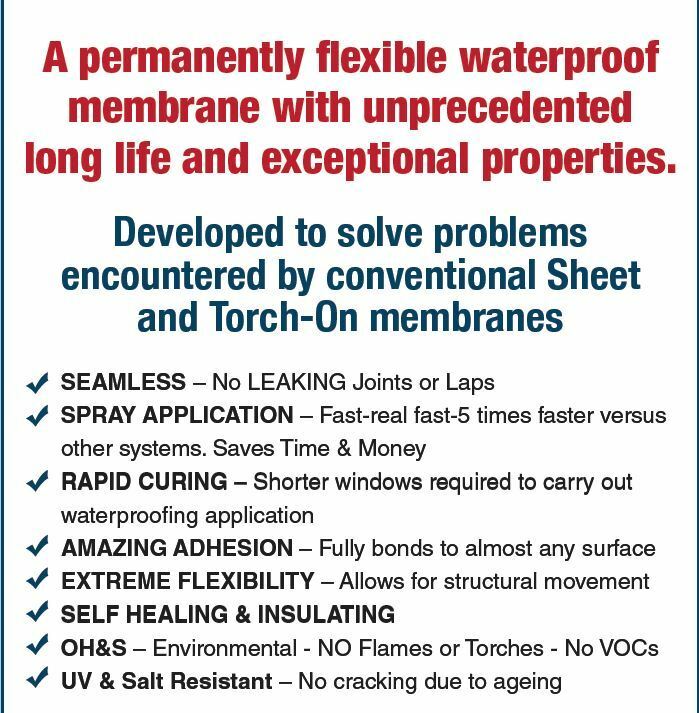 Over the years we have encountered numerous problems with traditional waterproofing products and methods i.e sheet and Torch On membranes.